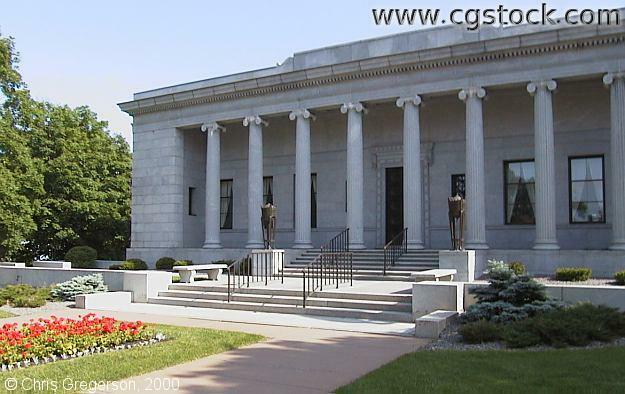 You are standing in front of the main building at Lakewood Cemetery. The main entrance is behind you, on 36th Street at Hennepin Avenue South. There is a map to the right of where you are standing, which I would suggest studying if you're not familiar with the grounds.